E. Saarinen was the son of a Finnish architect. He moved to the United States as a child, and eventually became a revolutionary architect and designer. 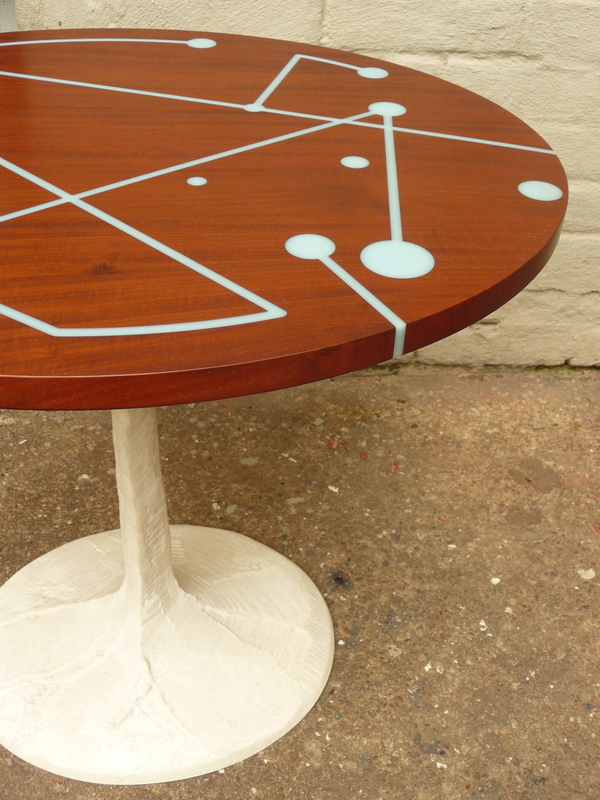 This pioneer of modern furniture shapes was the man who swore to fix the great “slum of legs” that was afflicting American tables and chairs in the mid century. With his “pedestal-style” base, he did it. His table, chair and stool bases are smooth, wavelike, and often white. I wonder if a lot of his casual admirers think about the base material at all. The finished form seems of greater importance. 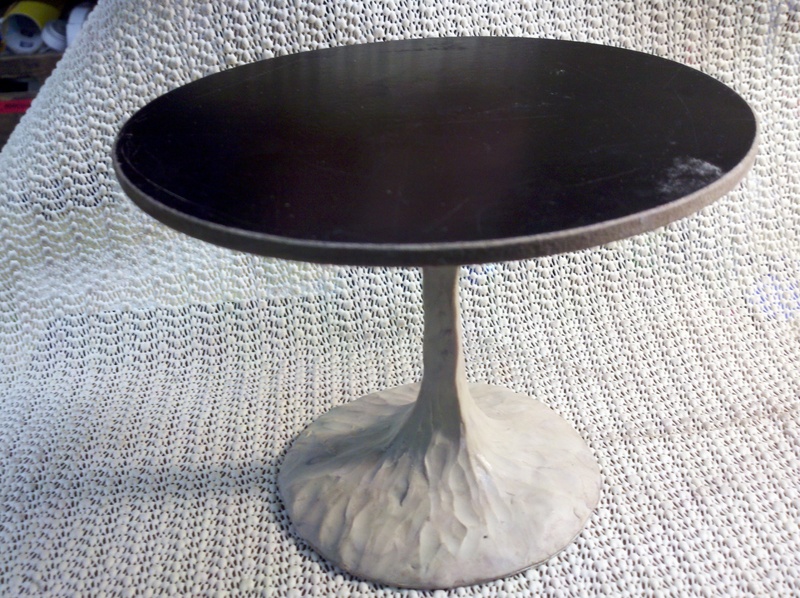 Saarinen generally created his table bases in cast aluminum: a rigid, versatile material that easily formed that gentle shape we are so familiar with today. And yes, you see a lot of Saainen copies. I think Room&Board offers one. There are so many, and for some designers, it is like purchasing a necessary compromise- the original being too extravagant, and not essential enough to justify the delicacy and subtlety of the original Saarenin shape. Well I am no certified design critic, and my job is certainly not the endorsement, or disapproval, of a Saarinen-style shape. I am making a study of these shapes, in order to create my own bases. I can’t deny the genius and downright physical presence of his original sculpted forms. It’s like he took a snapshot of a sound… or drew, in space, the molecular profile of the support concept. So what am I trying to do? 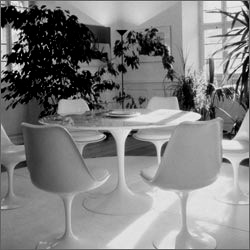 I am trying to create a base with the strength of, and with respect to Saarinen’s work, but I want it to be my own. Will it be cast aluminum? I don’t know. If it is, it will refer to the casting process in a way that Saarenin’s work does not. If it is cast aluminum, you will know it. And If it is cast stone (ie concrete), you will see that. In truth, I am having a wonderful time with this process- clay, wax, turnings, molds… After enough exploration I will step on the brakes. I will reel in the magical fish that I have hooked. Then I will set it free, and it will become a part of Noble Goods offerings.